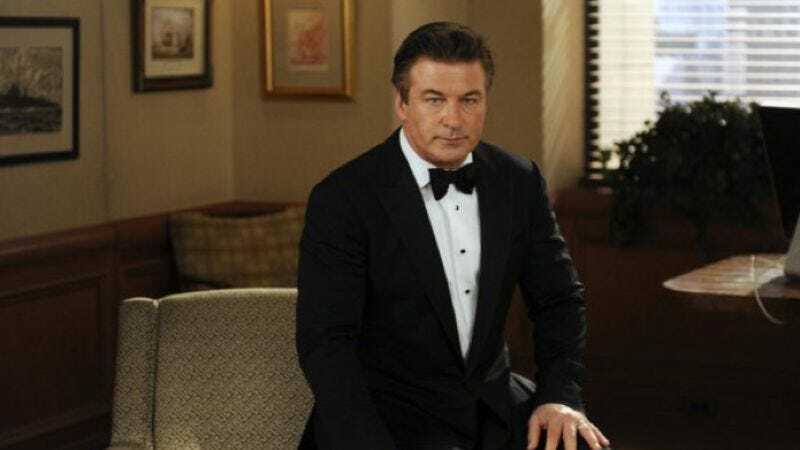 The eternally fickle Alec Baldwin continues to work his coquettish wiles on 30 Rock fans, most recently sighing that he was glad to be “leaving NBC” soon, where the attention and amassing of awards has become so fitfully dull. Tina Fey quickly qualified his remark on The View, where she said that Baldwin was referring not to the end of his own tenure on the show, but rather to the fact that “the end of the show is visible on the horizon”—a wistful, “Congratulations, Graduate” greeting card sentiment recently echoed on Baldwin’s Twitter, where he mused, “As far as I know, 30 Rock is back next year. But all things must pass. New shows. New people.” Yesterday, Baldwin put that sentiment in more concrete, familiar terms: He’s sticking around for a seventh season, and that will be 30 Rock’s final year. Of course, Baldwin has made these sorts of bold assertions before, to the point where every episode of 30 Rock that doesn’t feature Alec Baldwin simply walking off mid-scene is its own minor triumph. (No doubt much of that can be credited to the amazing, totally invisible wire work that restrains him.) It’s also worth noting that the show has not officially been renewed for that seventh season yet—though considering Baldwin also said that NBC should “scrape all the paint off the building and start over…. They’re probably going to have to cancel most of their shows,” it doesn’t appear Baldwin is particularly invested in that renewal. And so Alec Baldwin stifles a yawn behind his Victorian fan before vanishing in a tantalizing cloud of scotch and sandalwood, and the grand dance continues.